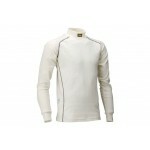 OMP long sleeved, high neck, fire retardant top. 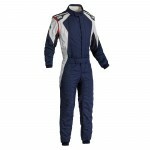 OMP Technica - S Suit Developed directly from OMP's Formula 1 Experience. Professional suit. light durable and improved breathable areas. Excellent quality/ lightness/ resistance/comfort/ price ratio. 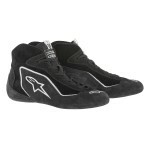 Alpinestars SP Race Boots Designed and constructed to offer excellent levels of breathability and performance fit, the SP Shoe is extremely comfortable, both in and out of the car. The SP Shoe’s exclusive rubber sole is derived from Alpinestars F1 racing development program to deliver both enhanced feel and grip of the pedals. The SP Shoe is certified to FIA 8856/2000 homologation standards Main upper constructed from premium suede for optimum levels of durability, comfort and fit. The sharp, sleek shoe profile is derived from Formula One to provide the best possible pedal interaction and comfort in the cockpit. Full tongue upper, lateral and medial constructed from perforated suede for enhanced ventilation and optimized breathability. Traditional eyelet lace closure system for safe, secure and personalized fit. 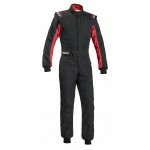 Nomex® tubular lining construction for excellent heat-resistance, weight-saving and reduced seams. 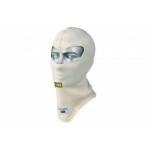 Collar padding constructed from Nitrile rubber for comfort and weight-saving. Alpinestars exclusive lightweight rubber compound sole with special line textured grip and improved pedal feel in race conditions. Alpinestars foot counter features multi-compound construction and ergonomic polypropylene heel counter, which provides support, protection and stability plus integrated PU fireproof heel for comfort. Lightweight micro-porous padding around the heel and insole enhances comfort. FIA /Alpinestars label on the tongue made from fireproof TPR. Logos and graphics are embroidered. 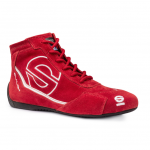 Sparco Slalom RB-3 Race Boots Suede racing boots. Possibility of customisation according to Sparco guidelines. Suede uppers. Leather insole. Natural rubber sole. 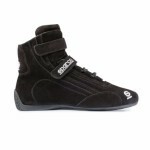 Sparco professional, comfortable and breathable race boots. 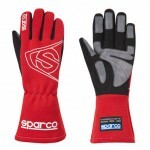 Sparco strong, comfortable and fire retardant professional glove. 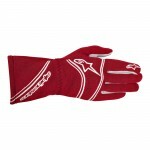 OMP strong, comfortable and fire retardant professional glove. Leather inserts on palm with "ULTRAGRIP" treatment. 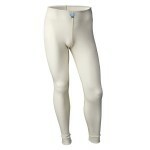 OMP breathable, fire retardant long johns. 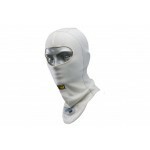 OMP professional, FIA approved, open face balaclava. OMP fire retardant Nomex socks. 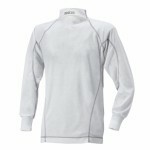 Sparco long sleeved, high neck, fire retardant top. 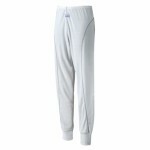 Sparco breathable, fire retardant long johns.